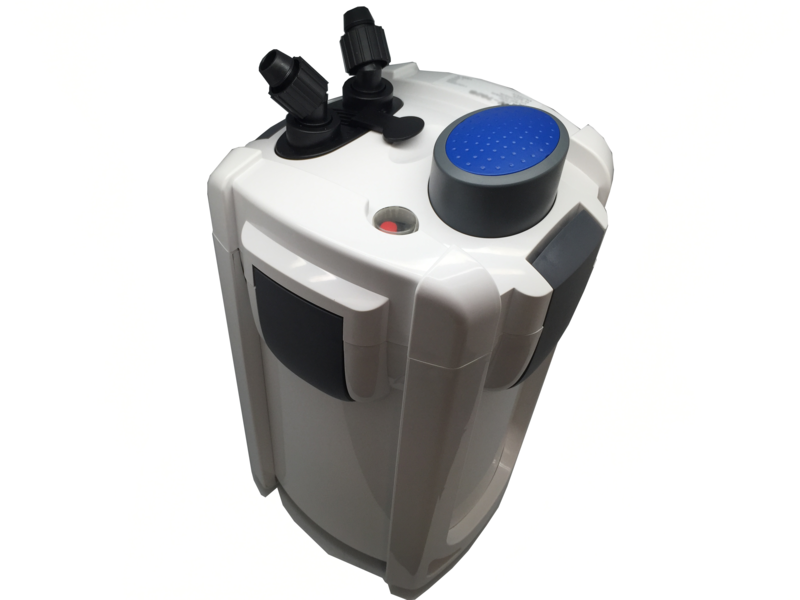 The SunSun HW-404B External Aquarium Filter system utilizes a multi-stage approach to filtration. Filtering aquarium tank water through four (4) internal layered baskets filled with assorted filter media material provides extremely thorough biological, mechanical and chemical filtration. 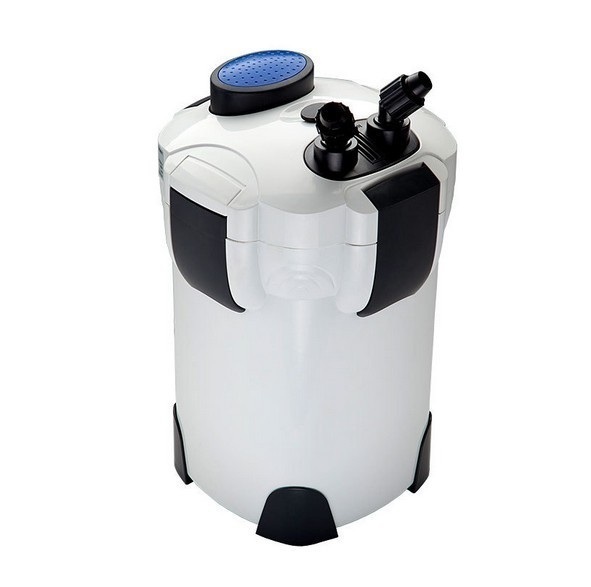 This Canister draws water into the filter through an inlet tube and returns crystal clear water via an outlet tube (both supplied). The outlet tube is fitted with a spray-bar to help increase oxygen aeration levels within your tank. 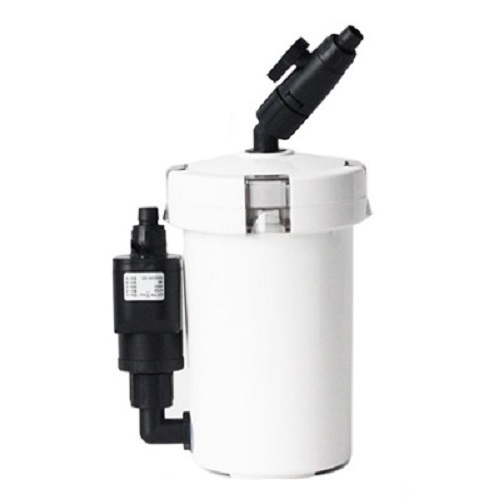 These filter’s are absolutely ideal for freeing-up space within your tank and provide a huge internal capacity for filter media, making them suitable for larger volume tanks. The four flexible media trays allow you to add other filtration media such as SunSun’s activated carbon, ceramic rings or bio-balls. 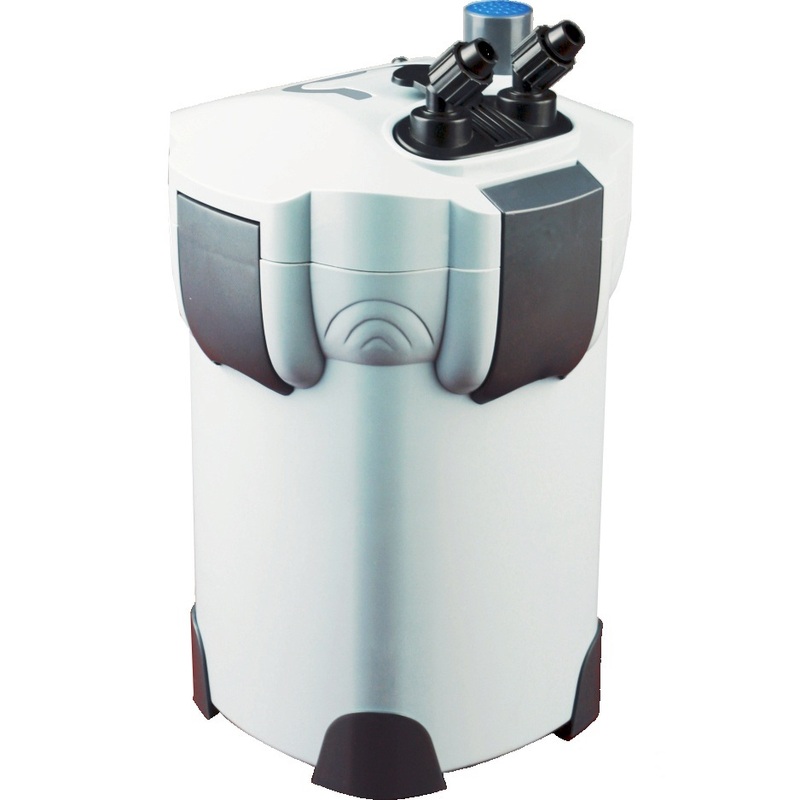 By filtering your tank using the filter media, you will observe a vastly improved level of waste-free water through extremely strong biological purification. 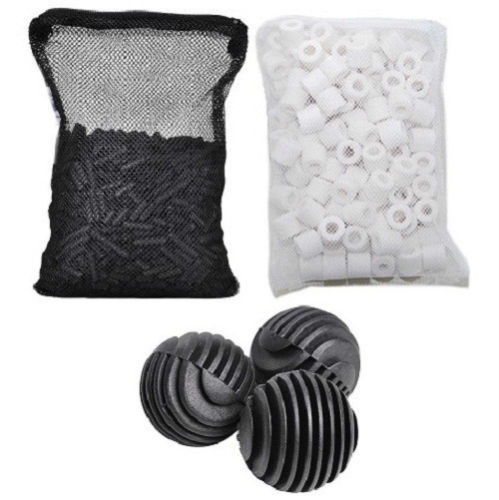 The filter’s easy-access layered filter media basket’s make it simple to customize your media choices to suit your aquarium and fish livestock needs. The built in UV sterilizer exposes passing water to lethal doses of ultraviolet light, killing, sterilizing or otherwise irreparably damaging many micro-organisms. Your fish tank water is pumped past the UV light which is sealed inside a quartz glass sleeve which is designed to allow the maximum amount of UV to pass through the water. Maintaining the filter is very simple. 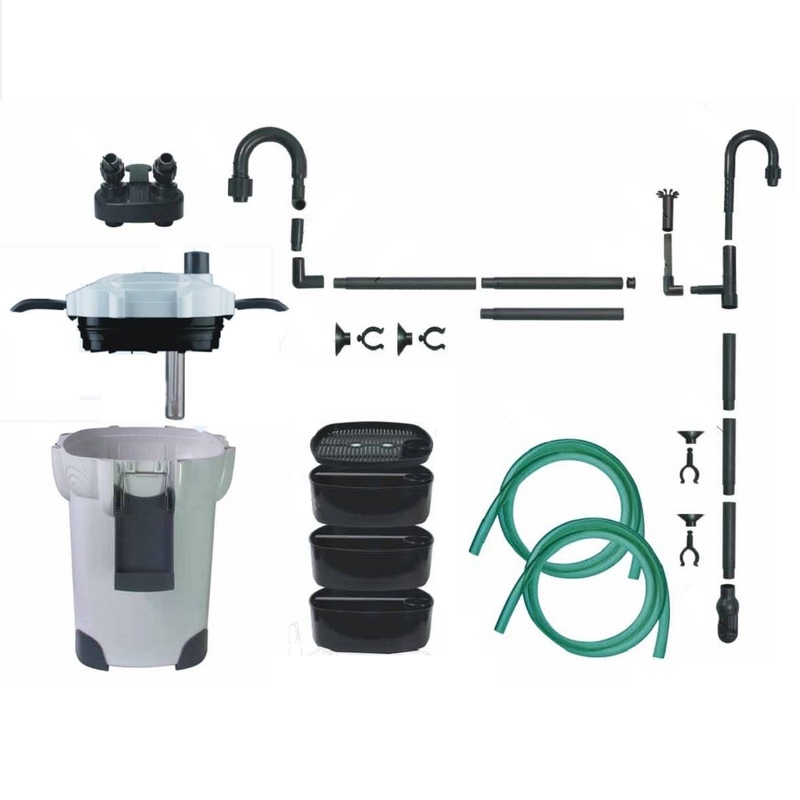 The drip-free shut-off tap allows you to remove the filter and transport it away from your aquarium fish tank to an area more suitable for cleaning. Each filter media basket lifts smoothly out of the unit and can be easily rinsed through and returned to continue its operation. Please notice all canister filters go through water pressurize test before boxing by the manufacture to ensure there is no leaking. There might be condensation still trap inside the filters. Please be assured the filter you receive is brand new and unused.